* If at any time within ninety (90) days after receipt of your unit you are not satisfied wit h your purchase for any reason you may get a full refund of your purchase price by contacting Customer Service. However, we do see that one may have good faith and reason to make a return to ‘upgrade’ or ‘downgrade’ and it is acceptable that this is a reason of return. JUST LED US Inc. wants to take this moment to remind our customers that it is not acceptable to simply buy said items and return them within the 90 days in a repetitive manner. Therefore we reserve the right to deny return of sale if customer attempts to make multiple return of sale. 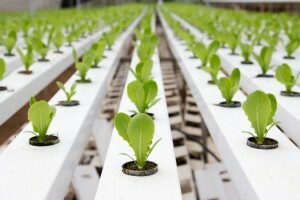 JUST LED US wants you to be sure that you are going to be satisfied with your purchase, so grow for 90 days, worry free as JUST LED US will pay for return postage. Please see Shipping and Delivery and Return Policy for full details. The LED Integrative Grow Lights hold a 2 year limited manufacturer’s warranty and covers defects in material or workmanship in newly purchased products. 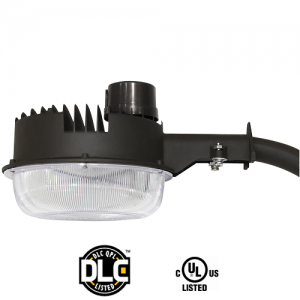 JUST LED US Inc. will replace at no charge parts or, at its option, replace any product or part of the product that proves defective because of improper workmanship and/or material, under normal installation, use, service and maintenance. • Request a return shipping label and send your grow light to our repair center and we will resolve the issue for you (recommended). This Plan complements but does not replace the manufacturer’s warranty or warranty obligations. During the manufacturer’s warranty and warranty obligations period, please feel free to contact JUST LED US Inc. and we will be happy to help our customers with transactions regarding the limited manufacturer’s warranty. At this time, all repairs and maintenance concerns are subject to be made in Canada. JUST LED US Inc. Extended Warranty: Parts Replacement Service agreement for accidental damage must be purchased within 30 days of the initial product purchase and customer/client has 30 days to cancel the Extended Warranty without any penalties; the sum for the extended warranty is based on units(s) that are purchased. Just LED US Inc. stands behind the products we carry so we created an extended Warranty/Guarantee within our Marketing and Sales Company based in Canada. We want every customer to be satisfied, with the products we carry, for life, so we are offering a comprehensive Guarantee when you purchase the Integrated grow lights with us and they have several important elements individual to each. * If at any time within 2 Years we find that part(s) are not functioning due to natural wear and tear, we will correct the problem for the customer and there will be no cost incurred for the service. Natural wear and tear covers defects in material or workmanship in newly purchased products. 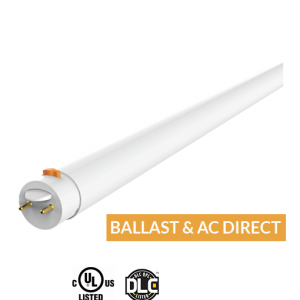 JUST LED US Inc. will replace at no charge parts only or, at its option, replace any product or part of the product that proves defective because of improper workmanship and/or material, under normal installation, use, service and maintenance. Should your unit suffer ‘accidental damage‘, we will service the unit(s) at a reduced cost of 50% off of the associated parts, but service of the units(s) will be limited maintenance of accidental damage as malfunctions due to misuse, abuse, negligence, alteration or unauthorized installation are not covered. 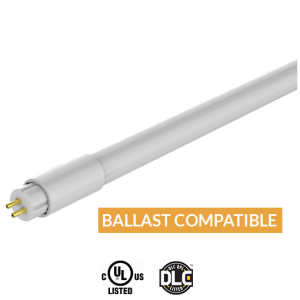 Making sure that all components are running optimally (there are many environmental variables that contribute to the longevity of your light (investment) which contributes to general maintenance and optimal HIGH PAR output. * When your product has exceeded 2 years from the date of purchase, this agreement is void, with exception to the particular(s) set forth qualifying the client for a discount of 20% towards your new purchases/upgrades & expansions of ‘light’ for your gardening needs. If the unit needs to be replaced because it cannot be fixed, we will reduce any new purchase equal to the ‘accidentally damaged’, unit by 20%. It will be upheld by JUST LED US Inc. to show you our gratitude towards the importance of having a healthy in-home garden. The replacement service agreement for accidental damage coverage is subject to a maximum of one (x1) time use, if such a thing happens. If ‘Accidental Damage’ does not become a factor of service that needs to be administered within the 2 year extended warranty of your unit(s), we will pre-qualify the customer/client for a discount of 20% towards your new purchases/upgrades & expansions of ‘light’ for your gardening needs. The given offer of a 20% discount is associated to the base price of the originally purchased unit(s) and will not exceed such value (before taxes). For Administration purposes registration and receipt is required for proof of original purchase with us as well as for administration procedures (no exceptions if criteria is not filled). The purchaser will need to provide a full description of the problem that is occurring, a contact name, sales receipt, address and telephone number and/or email address in order to initiate a claim under this warranty. Also, please provide a few photos outlining all stickers that are on the unit as well as pictures of the problem that is occurring. The purchaser can notify JUST LED US Inc. of the warranty claim by contacting (705) 303-3797, 1-888-276-3937 or via email at . At that time, the purchaser will be asked to provide dated proof of original purchase. Acceptable forms of this shall be a photocopy or scanned image of the dated original invoice emailed. We understand that there are large oper ations which have vested interest in the emerging green-housing industry. Large operational plans are individual unto themselves and require precise development, we take a holistic approach and our specialists are here for your implementation and planning. If you are an industrial leader in a commercial or governmental operation who wishes to utilize LED grow light technologies, or require a free consultation please inquire within. 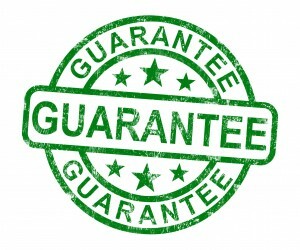 * Damaged, products cannot be returned under the 90 day Unconditional Money Back Guarantee. * Extended Warranty is for the Lens & Reflector Series COB Integrated Grow lights. * JUST LED US Inc. Extended Warranty is intended solely for consumer/in-home use. 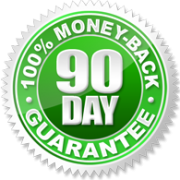 * 90 Day Unconditional Money Back Guarantee: If the unit is not shipped to JUST LED US Inc. in its original packaging, failure to do so will result in a 10% restocking fee. No restocking fee if product is sent with original packaging. No C.O.D.’s will be accepted. 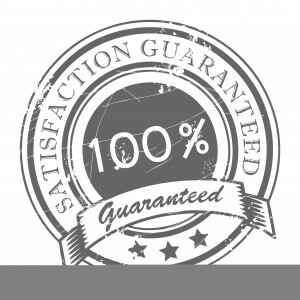 * 90 Day Unconditional Money Back Guarantee: If the unit is not shipped to JUST LED US Inc. in its original packaging, failure to do so will result in a 10% restocking fee. No C.O.D.’s will be accepted. * All repairs and maintenance concerns are subject to be made in Canada. * If the client desires to send their unit into JUST LED US Inc. for repairs we will make the fixes, FREE. The costs of part(s) will be equal to the current going rate of parts. No refunds on parts. * Only inquire with JUST LED US for both the ‘Limited Manufacturer’s Warranty’ and the ‘JUST LED US Inc. Extended Warranty’ as they are subject to be upheld by JUST LED US Inc. only. * When the end user Limited Warranty has run its course of 2 years, JUST LED US Inc. will not leave clients who made purchases through JUST LED US Inc. stranded! Simply contact customer service, report the problem and we will be happy to be of service. You will be guided through technical services to perform your own fixes via the email you registered with us. * Should the client decide to attempt to make fixes on their own, JUST LED US Inc. Extended Warranty will be void as JUST LED US Inc. is not responsible for third party service to the units. * JUST LED US Inc. will send parts to the client directly or to the nearest participating store that may be carrying our brand. For a secondary choice, clientèle may opt to have their personal sales representative receive the order or the parts on their behalf in the case that anonymity is an issue. * JUST LED US Inc. Extended Warranty is non refundable. * The JUST LED US Inc. Extended Warranty is non transferable. * Product details and pricing subject to change without notice. * Programs may vary by Country. * Prices may differ by country due to currency conversion and geographical location. Workmanship Guarantee: The quality of workmanship by repair technicians under JUST LED US Certified technicians is guaranteed for 90 days. Replacement Benefit: If a repair through a JUST LED US Certified technician cannot be performed in field the technician will instruct the customer to send their unit in to JUST LED US for repairs. If the repairs take longer than fourty-five (45) days to complete, JUST LED US will cover the cost of replacing it with a new or refurbished product of similar features and functionality, of the same brand, or at JUST LED US’ sole discretion, it may cover the cost of issuing you a store credit for the current replacement value, not to exceed the original purchase price. The 45-day service period begins when the product arrives at JUST LED US Corporate Headquarters or an authorized service location and ends when the repaired product is made available to you for pick up or delivery to you. The Plan will immediately be deemed fulfilled on the date of the replacement or issuance of a store credit and will not continue nor be applied to any replacement product provided by JUST LED US to you or purchased by you with the store credit. Replacement Benefit Limitations: The Replacement Benefit does not apply to maintenance checks, cleanings, customer education, repairs or replacements of Accessories such as power cord or hanging kit or other similar parts, or any repairs performed outside Canada. Additional time may be required for customer service when items have to cross customs/borders. International Coverage: If you require international coverage JUST LED US, at its discretion will find a service provider and make reasonable efforts to have diagnostics and repairs completed by a third party if there are no JUST LED US certified technicians in your area available. JUST LED US will issue a repair authorization number prior to work being done. If customer/client is covered by Limited Manufacturers Warranty or JUST LED US Extended Warranty, JUST LED US Inc. will directly issue payment of service to the authorized third party. International Coverage Limitations: International Coverage does not include In-home/Courier Service Benefit or the Replacement Benefit. If a replacement is needed JUST LED US requests that customer/client send their unit to JUST LED US. JUST LED US will not send out a replacement until we receive the malfunctioning unit. Before you may proceed with requesting international coverage please inquire with customer service, provide photos and written description of the malfunctioning part(s) of your unit (document circumstances to the best of your knowledge). We will make every effort to provide you with a JUST LED US Certified Technician before moving forward with a approved third party technician. Cancellation: At our option, JUST LED US will cancel the Service Contract, and, on the basis of (a) your fraud or misrepresentation; (b) your commercial use of the product (except where permitted by a commercial Plan); (c) repair of a product not performed by a certified and qualified technician authorized by JUST LED US during the manufacturer’s warranty period; or (d) repair of a product not performed by a certified and qualified technician authorized by JUST LED US after the manufacturer’s warranty period. * Cosmetic damage such as scratches, dents and broken plastic ports that are considered minor imperfections in units that meet design specifications or cosmetic imperfections that do not alter functionality. * Maintenance, repair or replacement necessitated by any causes other than normal usage, aging and/or operation of the product in accordance with the manufacturer’s guidelines, including, but not limited to, theft, exposure to weather, moisture and other environmental conditions, negligence, intentional physical damage, misuse, abuse, unauthorized repairs, improper installation, transportation damage (except damage incurred by authorized shipment of product(s) to and from an authorized service), improper equipment modifications, vandalism, spilled liquids. 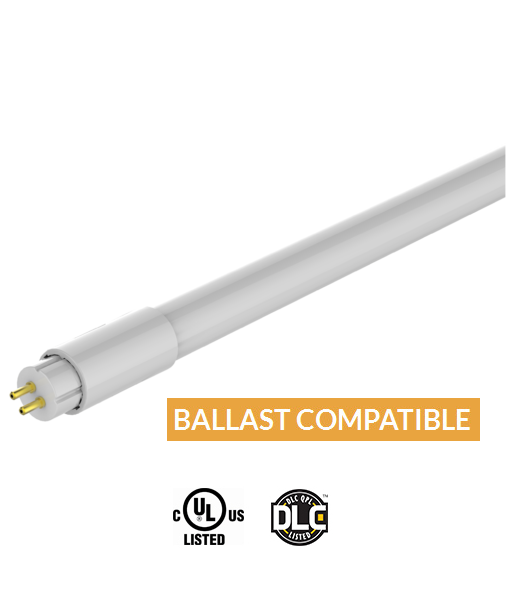 * External sources or Malicious damage and Natural Disasters are not considered to be covered by the Limited Warranty or the JUST LED US Inc. Extended Warranty. Ex: Floods, Fires, Electrical Power line surges, Tornadoes, Avalanches, Meteor Showers, etc. unless otherwise specified. * Physical damage and user misuse and/or abuse are not considered manufacturers defect. * Problems arising from excessive use. * Operating the product outside the permitted or intended uses described by JUST LED US Inc.
* Damage caused by service (upgrades, maintenance, etc) that is performed by anyone who is not a representative of JUST LED US Inc. or a JUST LED US Authorized Service Provider. * Defects due to normal aging of the product. * JUST LED US Inc. shall not be liable to purchaser or any other person for any incidental, special or consequential damages, arising out of breach of this warranty or any implied warranty (including but not limited to any implied warranty of merchant-ability). Our pledge is to guarantee our customers the brightest solution, 100% on par service.